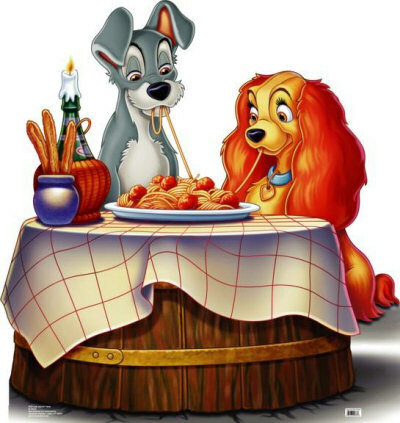 Ahhh italian meatballs are soooo yummy! Usually our "polpette" are a second course, they're fried or cooked in the pan and served with mashed potatoes or salad. They're also quite easy to make. 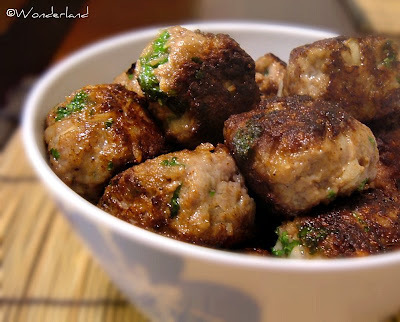 In this recipe I don't deep fry the meatballs, I just cook them in a pan with a bit of oil. They turn out very tasty because they're filled with wonderful fresh parsley and parmesan cheese. Chop onion and parsley finely. In a bowl mix milk and bread crumbs, then let it rest for a couple of minutes so the crumbs become swollen. Then add the meat, egg, onion, milk, parsley and the parmesan. Mix well. Finally add salt & pepper, always mixing. Shape the paste in small meatballs, about the size of a golf ball. Fry them in a hot pan greased with a bit of oil. Be sure that they cook evenly all around. Serve with salad or mashed potatoes.